The link between history and representation has deep roots in our cultural area. Already in 1980, in the framework of the scientific-disciplinary sector, Gaspare De Fiore treated the subject in Lo spirito storico-critico per il mondo del disegno, in Santa Margherita Ligure. Numerous scholars, both in Italy and abroad, are working on the history of representation as a primary scientific topic; essays on this subject have appeared in monographs often published in specific series and in articles. More generally, the connections with the history of the representation have been the topics of lively debates at international conferences and have been taclkled by different points of view, ranging from the history of architecture, of art, of urbanism, of technique, since research and teaching in the field of the history of models, forms and techniques of representation is always an encounter of many fields of knowledge. The history of representation strengthens the essential role that drawing plays in delineating space images and building models for understanding reality, tracing world maps, rebuilding project intentions, and describing educational programs. The reading of a drawing is both an act of thinking and a tool of knowledge and communication: this twofold nature is present if we consider its ancient and recent history, its perceptual and geometric genesis, its technical and linguistic aspects and its potential for future development, thanks to the most advanced tools. 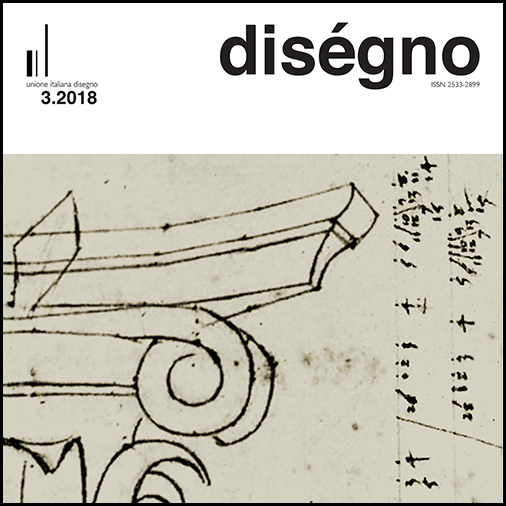 In this third issue of diségno we want to invite to reflect on the meaning of the history of representation, as it is built on a plurality of points of observation. To consider the interconnected sense of the past, which brings together the fields of art, architecture, science and technique, writing histories that are intertwined with other histories.